This handbook is a concise guide for all those who aim at obtaining a basic knowledge of European tax law. 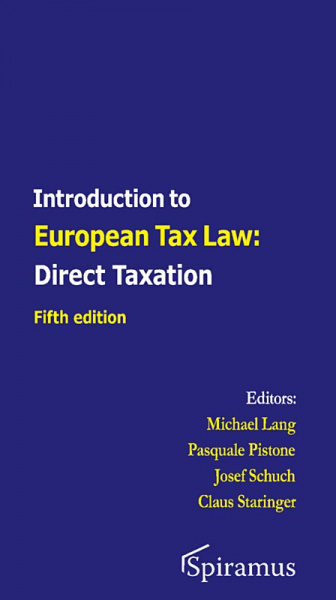 Designed for students, it should be useful as well for experienced international tax specialists with little knowledge of European law, European law specialists who are reluctant to approach the technicalities of direct taxation and non-Europeans who deal with Europe for business or academic reasons and need to understand the foundations of European tax law. The authors also consider that this book can be useful to academics without a legal background in order to approach the technical issues raised by European Union tax law. Significant tax developments have unfolded in recent years in the areas of both primary and secondary EU law. Besides the significant advances in the interpretation of the fundamental freedoms and State aid, we have witnessed an increase in the relevance of case law on EU fundamental rights and the issuance of directives in the fields of mutual assistance, anti-tax avoidance and dispute settlement. This fifth edition considers all such changes, without losing its traditional concise approach to the analysis of the relevant issues.